Viva Mercado’s is the culmination of the life work of Robert Mercado where we proudly serve a large variety of traditional Mexican dishes with a homemade taste. Our restaurant is a lively family-and-friends restaurant for all occasions. We have many long-time fans who have been visiting with us for years. And we’ve met a lot of new friends since our move to Summerlin. Come and see us for lunch, dinner, happy hour, fiestas or just to have a drink at our bar after a movie night out. Bobby Mercado knows the value of friendship. Mercado’s parents divorced when he was young, and even though he grew up with a traditional family structure, he said that same family wasn’t always there for him later in life. While he prefers to keep some specifics of his past private, this much he would reveal: At an early age he gave up his dreams of college to support his siblings, and when he moved to Las Vegas, he had $5 in his pocket. 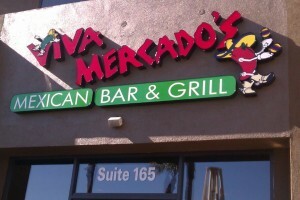 But never one to dwell on the past, Mercado turned that $5 into one of Southern Nevada’s premier Mexican food restaurants, Viva Mercado’s Mexican Restaurant & Cantina, and he is raising a large, healthy family of his own. But Mercado said none of it would have happened were it not for the friends he’s made during his time here. “I had a lot of help,” he said. In 1971 Mercado’s stepfather got a job as manager of La Margarita, a 400-seat Mexican restaurant in Morton Grove, a suburb of Chicago. At the time Mercado was a freshman at Notre Dame High School in Niles, another suburb of Chicago, with dreams of going to college and into the Air Force. In his junior year, those plans were put on hold. In the summer of 1972, the INS came and took the restaurant’s dishwashers away,” Mercado remembers. “My dad called me and said, ‘Get on your bike and get over here.’ I rode about six miles, and when I got there the chef showed me how to work the conveyor belt for the dishwasher.” So began Mercado’s immersion into the world of restaurants. He remained on board for the remainder of the summer, and in the fall he went to school and worked evenings, working his way up from dishwasher to prep cook to assistant cook to head cook to busboy to waiter. “The whole enchilada,” Mercado said jokingly. Mercado quickly went back to what he knew best, getting a job at Viva Zapata’s restaurant as a waiter. “The restaurant business was already in my blood, and when you’re a busboy or waiter, you have money every day,” he said. Because Mercado was barely 19 at the time, he had to be paired with a busboy of legal age. “I’d bring the drink orders to the bar, drop them off, and another busboy would pick it up and deliver the drink,” he remembers. By the time Mercado was 21, he was already in charge of the busboys. “In one year, I was in charge of the whole floor,” he said. 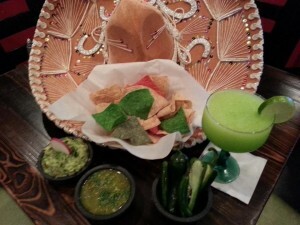 When owner Greg Ramirez opened another Viva Zapata’s, Mercado was left in charge of the original. He asked me to come work for the new restaurant, but he couldn’t pay me what I made in tips. I was very popular,” he said, knocking on the table. With no job to go to and no family to turn to for help (his stepfather died in 1982), Mercado turned to his friends. It turns out he had some particularly influential ones. “(Southern Wine & Spirits of Nevada boss) Larry Ruvo had become a friend of mine through the restaurant,” Mercado said. “He found out about my situation and secured me interviews with all the restaurants in the city.” But there was a slight snag: No restaurants were hiring management without a college degree. I couldn’t get a job,” he said. “So Larry said, ‘Why don’t you come work for me as a liquor salesman? 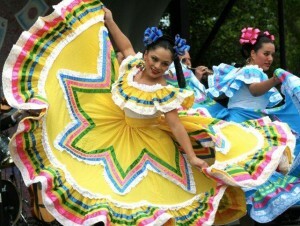 '” Mercado jumped at the opportunity, and for a while took care of Ruvo’s ethnic accounts — Mexican, Chinese and Japanese. “One day as I’m traveling, I bump into one of my old customers, and he asks, ‘Why don’t you open your own restaurant?’ He couldn’t find a restaurant that offered what I served. I honestly had not thought about it up to that point.” The only obstacle to opening his own restaurant was financial, and another of his friends helped with that. Ken Fleming, another of Mercado’s former customers, “helped me put together a business plan and helped me get a group of investors together.” Mercado picked out a property on West Flamingo Road and was ready to proceed, but it fell through. “Desert Storm happened, and most of the investors pulled out,” Mercado remembers. “The only investor who hung in was a little old lady who did not want to be named, and she told me to look for something smaller.” So instead of the first property — which was eventually purchased by the Ferraro family and is now Ferraro’s Italian Restaurant — Mercado opened in a shopping center located further west on Flamingo. While the space was initially small (about 1,800 square feet) Mercado had no trouble filling it. During his absence from the restaurant industry, his reputation had survived — and then some. We opened in March of 1991, and had only 14 tables,” he said. 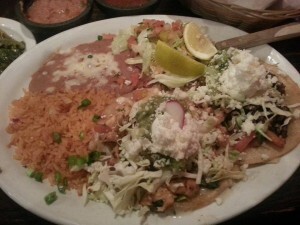 “By the end of the first day, on word of mouth alone, we served more than 200 people.” Viva Mercado offers traditional favorites such as enchiladas, tamales and tostadas, but Mercado has made sure to include specialty dishes such as tacos de pescado, tostados Acapulco style and chicharrones (pork chunks simmered in salsa costena with whole pinto beans and topped with onion and cilantro). By the end of the first year Mercado had made enough money to expand into the next space. He attempted a second restaurant in 1996 in Green Valley, but by 1999 had to close. “Too many things were not going our way,” he said. Now at the new location on Rainbow and Spring Mountain, the future has never looked brighter.